Oh ESRB, you silly little thing you, always releasing tidbits on anticipated games. 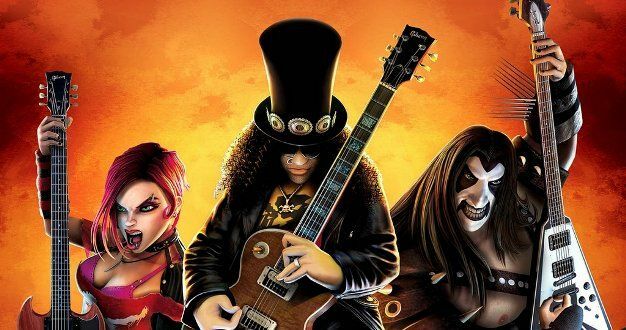 You ruin all the fun, I totally didn’t know there was going to be a follow up to Guitar Hero: On Tour, and then you came along and ruined the surprise by releasing details on a possible sequel. Oh yes children, you didn’t hope think Activision would just quit after they released the DS game On Tour, did you? The already trademarked game, Guitar Hero: Modern Hits, is now a little clearer thanks to the ESRB. The board released a few details, including a few new songs that may give insight into the game. Those songs are “Still Waiting” by Sum41, Franz Ferdinand’s “The Fallen”, and Finger Eleven’s “Paralyzer”. Alright, so I lied, these tracks really don’t offer that much insight. The title, Modern Hits, is a pretty good indicator of what is going to be featured in the game. What I am more curious about is how the game will deal with the DSi’s lack of GBA slot, and whether Activision will continue with their famously bad commercials.